Wondering what to do with older preserves from the previous year you’ve found at the back of the pantry? 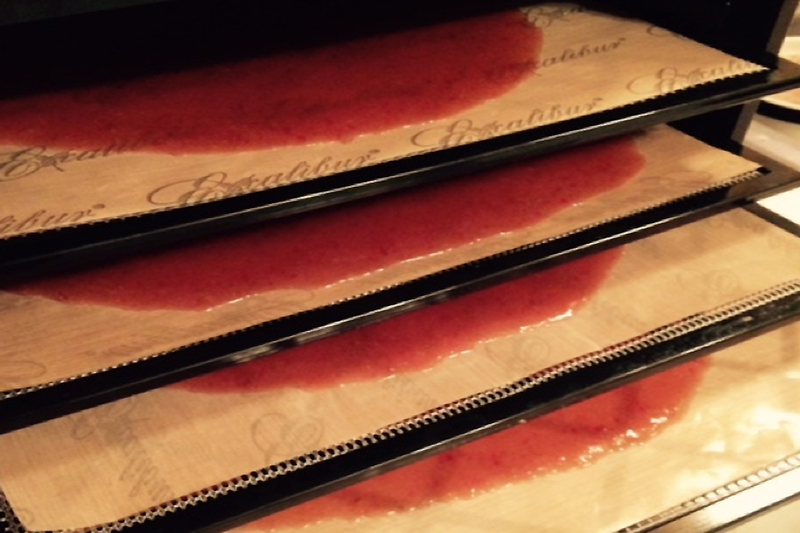 With a dehydrator, some applesauce and jam or jelly, you can easily make your own delicious fruit leathers! Most of us have had the dilemma of opening up the pantry and seeing a swell of jams, jellies, or preserves that have been shoved to the back of the shelf and forgotten about, whether they are homemade, or gifts from a crafty preserving friend. Fruit leathers are an easy and delicious way to use your preserves and clear out some shelf space before the new canning season arrives! 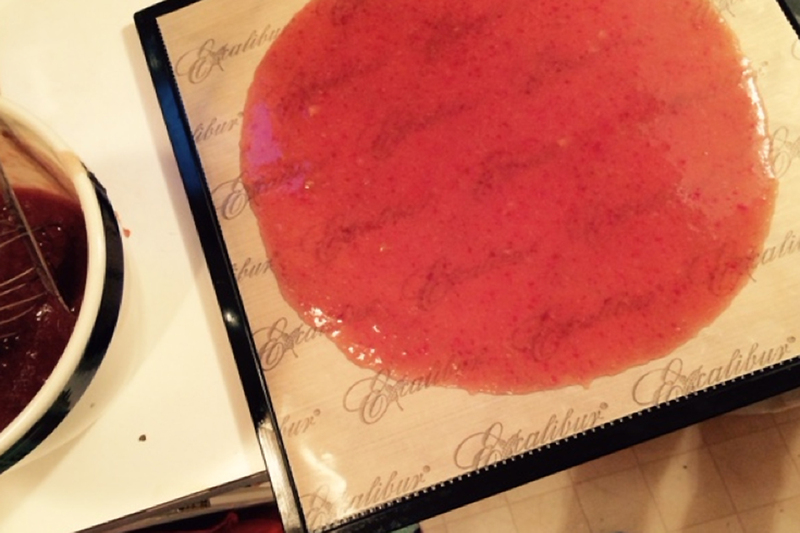 **This will yield roughly two large ParaFlexx sheets worth of fruit leather. You can double or triple this recipe to make more at one time, especially if you have the Excalibur 9-tray Food Dehydrator at your disposal. prednisone 50mg uses STEP ONE: Applesauce. I used applesauce from a previous year of apple bounty. Since I seldom eat it straight, this seemed like a good way to use it up. You can of course use store bought applesauce as well. For this recipe, I used a full pint’s worth of applesauce. go STEP TWO: Jelly or jam! 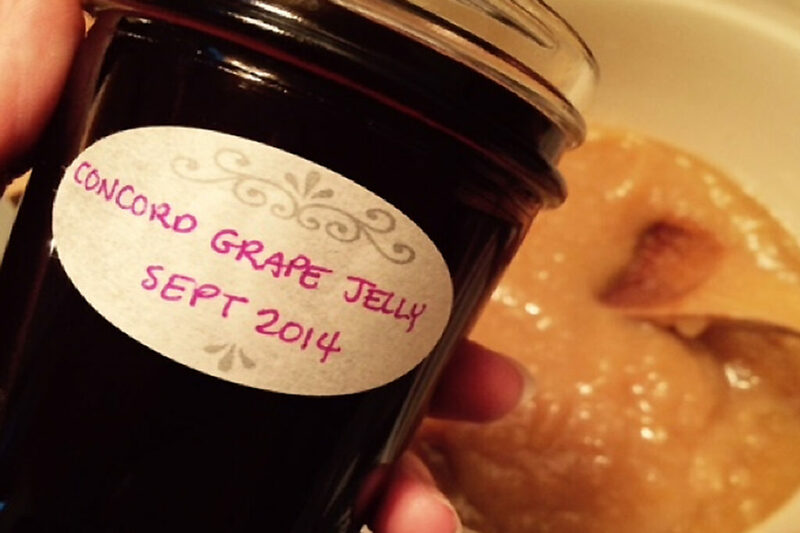 I used a 1/2 pint of grape jelly in this instance, but be warned: if your applesauce is sweetened and you’re like me and use a lot of sugar in your jelly, the result will be a very sweet, candy-like fruit leather. Kids and adults with a sweet tooth will definitely like this combo. 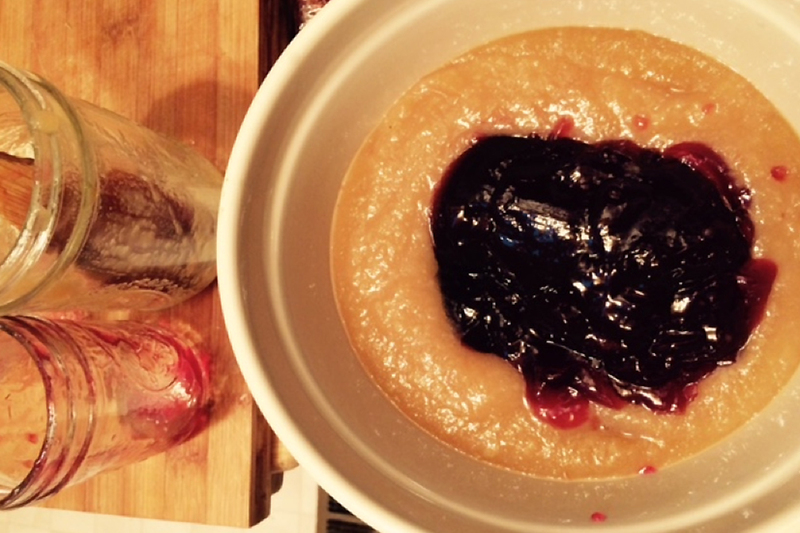 Previously, I used up some old rhubarb jam, and the balance of tart and sweet was perfection. acquistare levitra contrassegno senza ricetta STEP THREE: Mixing. 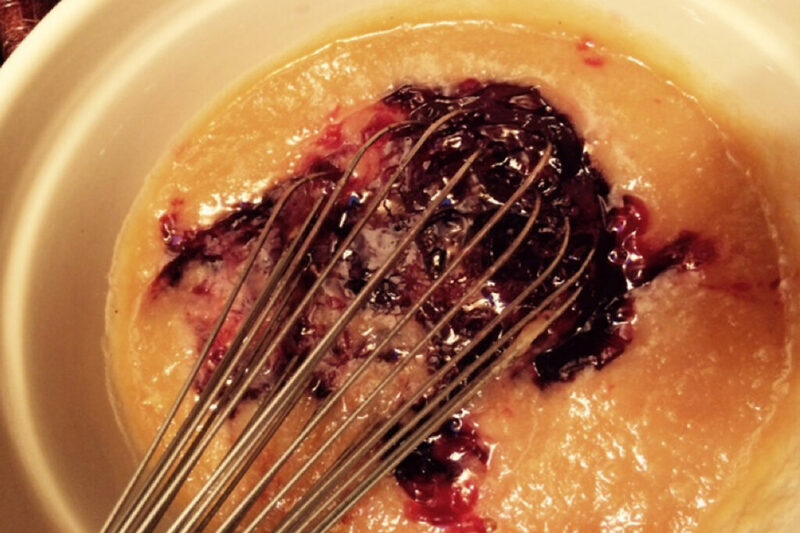 After dumping your jam into the applesauce, whisk it it well until completely combined. Remember, the combinations and possibilities are endless. 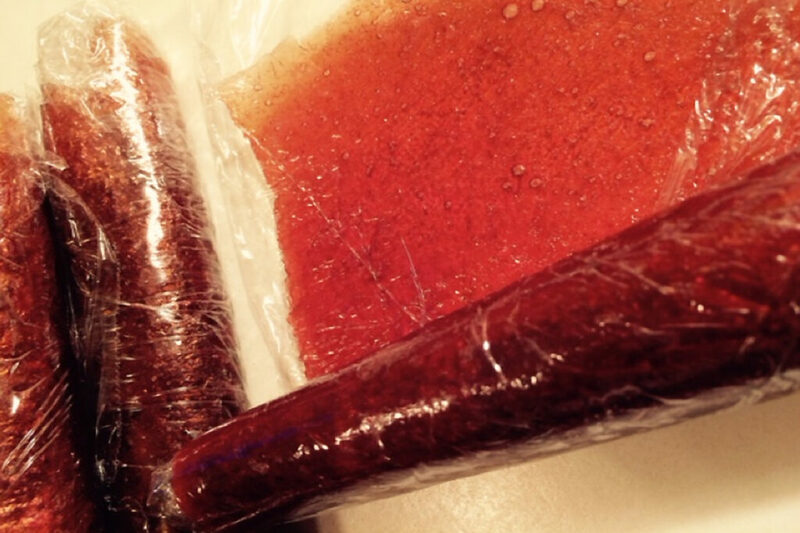 Preserves and jams make a chewier, chunkier textured fruit leather, and jelly makes a smoother, candy-like fruit leather. The choice is yours! http://maientertainmentlaw.com/?search=order-generic-accutane-online STEP FOUR: Spread it. Ladle a good amount of the mixture on your ParaFlexx sheets, making sure not to use so much as to make them too thick, or spill over the edge of the sheet when spread out. Use a rubber or silicone spatula to gently smooth out the mixture over the sheet for even drying, keeping it around 1/8″ or so in thickness. go here STEP FIVE: Dry it. Place your sheets in the dehydrator and set the temperature to 135 degrees. Leave them alone for 8-12 hours. Before you go to work, or before bedtime is a good time to start drying them. 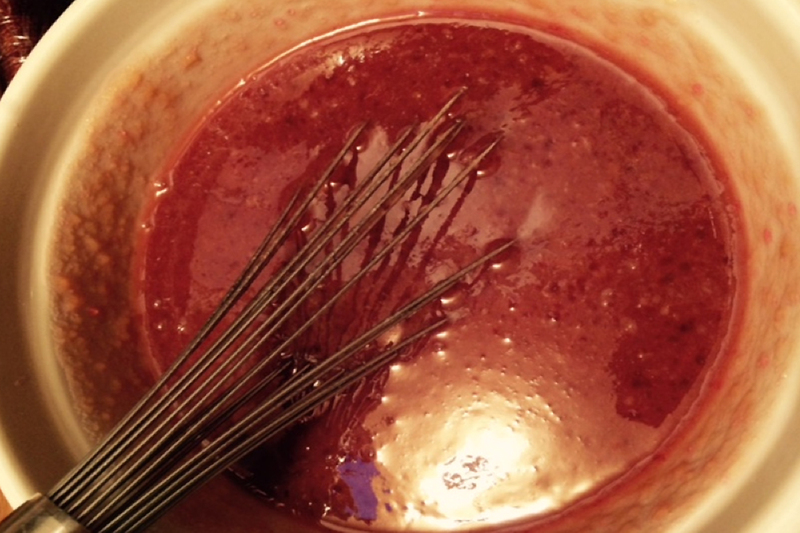 The more liquid in your mixture, the longer they will have to dry. http://maientertainmentlaw.com/?search=real-viagra FINAL STEP: Testing and storage. 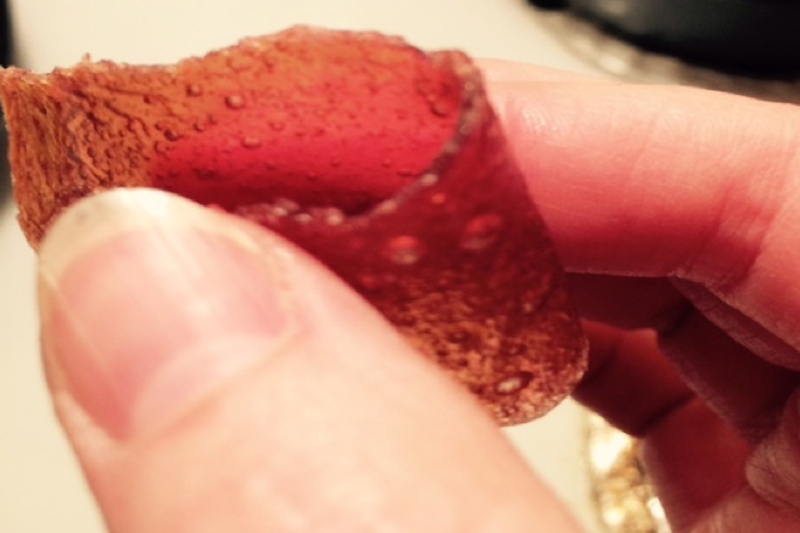 When you pull them out, check the consistency- they are called fruit “leathers” for a reason! They should still be soft and pliable and slightly tacky/sticky when you press your finger on them, but not wet to the touch, nor should it leave residue on your fingers. When you fold them, they should be firm, but not brittle. Cut them to your desired size for storage, and wrap them up in parchment paper or plastic wrap to keep them fresh and enjoy the fruits of your labor! Make sure to consume your tasty treats within a month, or put them in a freezer bag and store them in the freezer for up to a year. And of course, you don’t have to use jam to make these tasty treats; fresh pureed fruit is also perfect for making fruit leathers, and again, there is no limit to the creativity of flavors and textures you can come up with!